Honda Genuine Accessories are designed specifically for your Honda vehicle and have the same quality and durability that you’ve come to expect from Honda. 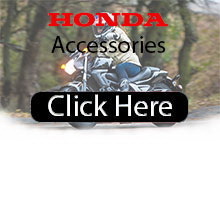 Check out our offering of the latest Honda motorcycle accessories, Honda Side by Side accessories, Honda Scooter accessories and Honda ATV accessories. Looking for hard-to-find Kawasaki motorcycle accessories, Kawasaki ATV Accessories, Kawasaki Jetski accessories, Kawasaki Teryx accessories? 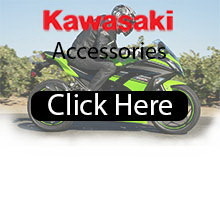 We offer all the new factory fresh Kawasaki accessories online. Browse for Kawasaki accessories to upgrade or repair your machine. Looking for hard-to-find Yamaha motorcycle accessories, yamaha atv accessories, yamaha snowmobile accessories, yamaha rhino accessories, Yamaha Scooter Accessories, or Yamaha waverunner accessories? We offer all of the new factory fresh Yamaha motorcycle accessories and Yamaha atv accessories for your Yamaha on sale online. 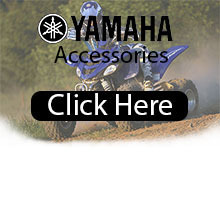 Browse for Yamaha accessories to upgrade or repair your yamaha machine. Looking for hard-to-find Arctic Cat snowmobile accessories, Arctic Cat ATV Accessories, Arctic Cat side by side accessories, Arctic Cat wildcat accessories, Arctic Cat Snowmobile Clothing, Arctic Cat ATV Clothing, and Arctic Cat Gear? 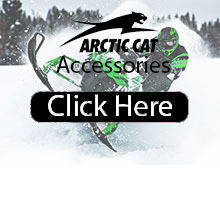 We offer all the new factory fresh Arctic Cat snowmobile accessories online. Browse for Arctic Cat snowmobile accessories to upgrade or repair your snow machine. 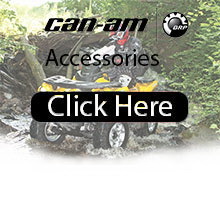 Looking for hard-to-find CanAm ATV accessories, Can Am ATV Apparel, Can Am ATV Gear? We offer all the new factory fresh Can-Am ATV accessories online for the CanAm Outlander ATV and Can-Am Renegade ATV accessories. Browse for Can-Am accessories to upgrade or repair your machine. Looking for hard-to-find SkiDoo Snowmobile accessories, SkiDoo Snowmobile Apparel, SkiDoo Snowmobile Gear? We offer all the new factory fresh Ski-Doo snowmobile accessories online for the Ski-Doo MX Snowmobile, Ski-Doo Skandic Snowmobile, Ski-Doo Renegade Snowmobile, Ski-Doo Summit Snowmobile, Ski-Doo Tundra Snowmobile and Ski-Doo GSX accessories. Browse for Can-Am accessories to upgrade or repair your machine. Looking for hard-to-find Yamaha Star Motorcycle accessories, yamaha Star Motorcycle apparel and Star Motorcycle Gear? We offer all of the new factory fresh Yamaha Star motorcycle accessories for your Yamaha Star on sale online. Browse for Yamaha Star accessories to upgrade or repair your yamaha Star machine. 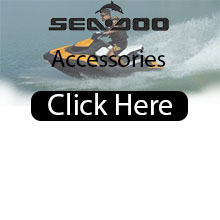 Looking for hard-to-find Sea-Doo watercraft accessories, Sea-Doo watercraft Apparel, Sea-Doo watercraft Gear? We offer all the new factory fresh Sea-Doo watercraft accessories online for the Sea-Doo GTI and Sea-Doo Spark watercraft accessories. Browse for Sea-Doo accessories to upgrade or repair your machine. This website is CyclePartsNation.com. We carry all the Parts and accessories for your powersport needs. If you are looking for oem parts, oem accessories, aftermarket parts and aftermarket accessories for your powersports equipment you have come to the right place. But if you want browse our oem brand specific sites you may do that by clicking on the link to go and visit each site for parts or accessories. You can look at Arctic Cat Parts Nation, Honda Parts Nation, SkiDoo Parts Nation, Suzuki Parts Nation, KTM Parts Nation, SeaDoo Parts Nation, Yamaha Parts Nation, Can-Am Parts Nation, Kawasaki Parts Nation, and Outboard Parts Nation to be redirected to one of our other sites listed. We appreciate your business and look forward to Helping you.